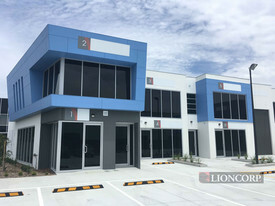 This property is located in south west of Brisbane, and is approx 26km from Brisbane CBD, the last unit for sale in the complex, this development has15 units in total. &xE2; &x80; &xA2; Approved for 100% commercial office use, warehouse or a split in between. 4.68ha* With 2 Road Front.. Price: Auction Venue: Ray White ..
Riverview QLD 1442m2 2 Bl.. Price: Price reduced, Offers fro..
2 Blocks of land with full DA pending approval for 7 Warehouses, current holding income, exposure to Ipswich motorway! !